Our event last Thursday really was a special one. It’s not often we get to provide great food whilst also raising money and awareness for a great cause. For this event we were providing the food at a stem cell donation drive. This was an event where dozens of volunteers got together to spread the word about the stem cell register and helped to get people to sign up so that in the future, they may be a match for someone in need of donation and perhaps go on to save a life! We here at Hog Roast Belfast thought this was a fantastic cause and agreed to provide some food to keep the volunteers going and to reward the brave people who were signing up to be donors. For this type of event we needed food that could beaten quickly on the go whilst the volunteers rushed about to get people signed up and collect donations. For this our classic hog roast would be perfect. This is where we cook a hog low and slow for several hours before carving the meat and serving it on freshly baked rolls topped with lots of crunchy crackling, homemade applesauce and sage and onion stuffing. 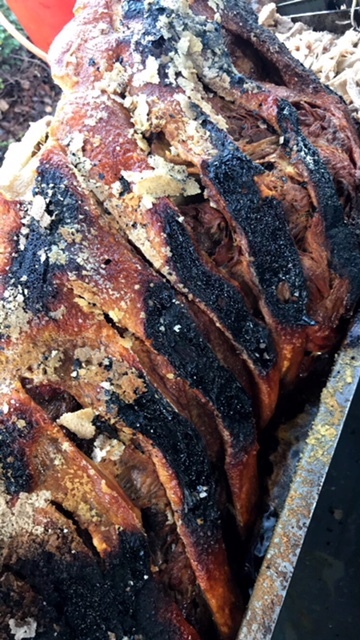 This style of food is what Hog Roast Belfast does best and so we were sure it would be a successful event. We were impressed to see just how hard the volunteers worked. For this type of charity event the volunteers needed to talk to as many people as possible and explain to them all the benefits of becoming a stem cell donor. It certainly helped that people were being drawn in by the scent of our hog roast and were happy to stand and hear the volunteers talk about why it’s such a great cause. Oil Refinery Hog Roast, Immingham. Hog Roast Folkestone Anniversary Party!